Xiaomi Mi Pad 4 Arrives With 16:10 Display and Snapdragon 660 - Playfuldroid! Apart from Redmi 6 Pro, Xiaomi has launched the Mi Pad 4 tablet in China. 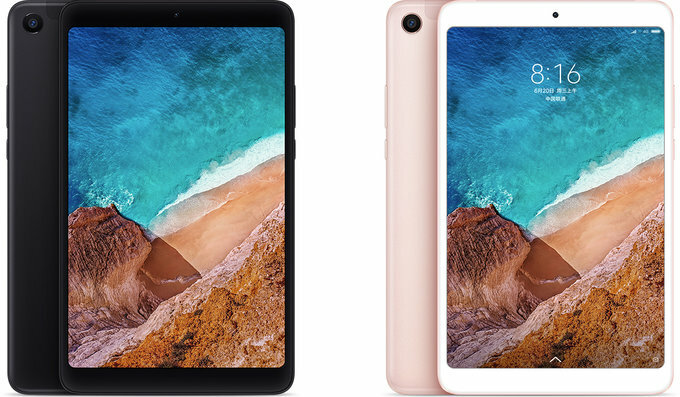 Compared to Mi Pad 3, the new tablet has come with enhanced features such as better aspect ratio screen, faster Snapdragon 660 chipset, microSD card and facial recognition. Also, it is the first Mi Pad tablet that supports GSM networks. The Snapdragon 660 powered Mi Pad 4 is the first tablet ever to feature this SoC. To promote one-hand usage, Xiaomi has fitted an 8-inch display with 16:10 aspect ration on the device. None of the predecessor Mi Pad models have featured a microSD card slot. The Mi Pad 4 has an exclusive slot for it. It has a rear camera of 13-megapixel with f/2.0 aperture and a frontal shooter of 5-megapixel with f/2.0 aperture. The tablet is powered by a big battery of 6,000mAh capacity. It is preloaded with Android 8.1 Oreo and MIUI 9 skin. The Mi Pad 4 for Chin has access to popular media contents as well as live TV support through Mi Video app. The Mi Pad 4 will be available in colors like Gold and Black from June 29 in China. The Wi-Fi only model of the Mi Pad 4 has two variants such as 32GB storage + 3 GB RAM and 64 GB storage + 4 GB RAM. These Wi-Fi only models carry respective pricing of 1,099 Yuan ($168) and 1,399 Yuan ($215). The LTE enabled Mi Pad 4 has 64 GB of storage and 4 GB of RAM. it has a price tag of 1,499 Yuan ($230).